Shown above is Venetian Gold Light Granite used for the perimeter and the peninsula. The peninsula has a 10″ overhang with an 1/8″ Eased Edge Profile. This custom counter top was installed in a kitchen in Williams Bay, WI. 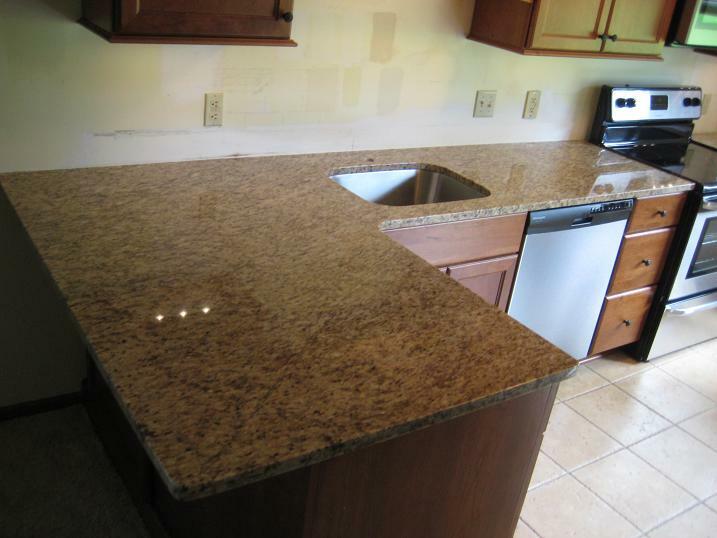 Venetian Gold is a popular Granite color that has a varying personality; it can range from lighter tan to brown. The 1/8″ Eased Edge is one of our standard edges and is also very widely used.